HP's JetIntelligence feature delivers faster 2-sided printing, faster first page out and reduced energy consumption. Fast monochrome printing — up to 40 pages per minute. HP's JetIntelligence feature delivers faster 2-sided printing, faster first page out and reduced energy consumption. Get more pages with Original HP Toner with JetIntelligence. Automatic double-sided printing helps save time and money. Features 2 paper trays with 350 sheet maximum capacity. 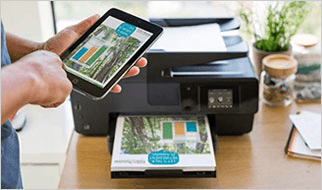 Built-in WiFi lets you print from a smartphone, tablet or PC without the clutter of wires. Also compatible with wired networking. BEV65: A good printer but not worth the price just for a wireless printer. 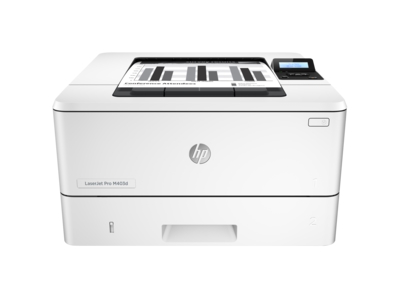 Wings428: I have 3 printers in my personal office and this replaced a long-serving LaserJet 4000. I love this product. I bought it with a 3rd tray so I put 500 pages of letter-size in that and legal-size in tray 2. It's compact, fast first page and about 40 PPM thereafter, and easy to use. Wireless connectivity works well. Jdb0022: Easy setup. Works well. Perfect small office printer. 4 Wireless performance is dependent on physical environment and distance from access point, and may be limited during active VPN connections.